Do you require an Environmental Assessment and/or Air Quality Testing for a former marijuana grow operation? Does your mortgage lender or insurance company require professional air quality sampling prior to lending approval? Have you received a Mandatory Environmental Assessment Order from the ESA, city, municipality, fire department, health department or the Children’s Aid Society and need to comply with the order within a specified time frame? Informed Decisions can help. We are industry experts in Grow Op Assessments, Air Quality Testing and Mandatory Environmental Assessments. Illegal marijuana grow operations are becoming more and more prevalent in both urban and rural communities. If you suspect your home, or a home you are looking to purchase, may have been used as an illegal marijuana grow operation, it is imperative you work with a team of professionals with the qualifications and experience needed to protect yourself, your family, and your investment. Whether a previous marijuana grow operation is suspected or confirmed, it is very important to assess the potential threat to current and future occupants of the building. Mold, chemical contamination, and structural defects can occur as a result of a grow house operation and jeopardize the health and safety of your loved ones, as well as your financial investment. Let the team at Informed Decisions give you the peace of mind that all are safe. If you have received a Mandatory Environmental Assessment Order and are required to comply, we can help! 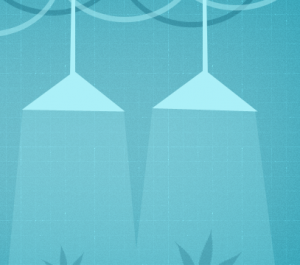 Many unsuspecting Landlords unknowingly rent a home, condo or building to a tenant that can, quite quickly, convert it to an illegal marijuana grow operation. Once discovered, the authorities, municipality, or Electrical Safety Authority typically require a professional environmental assessment is performed to ensure the building is fit for occupancy and free of any biological or chemical hazard. It is also imperative the the building is structurally sound for occupancy. Our team of Engineers, Certified Industrial Hygienists and Registered Occupational Hygienists have the professional qualifications needed to comply with ESA, City and Municipality requirements and properly complete all sign-off documentation. Protect your investment and comply with your requirements by ensuring your property is inspected and assessed by a qualified environmental inspector. Call us today to learn more!